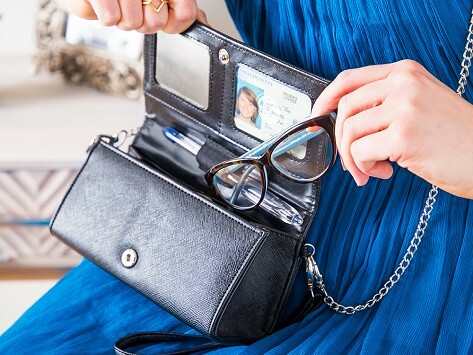 This multi-purpose eyeglass case gives you the freedom to ditch your big handbag, but still keep your essentials on hand. 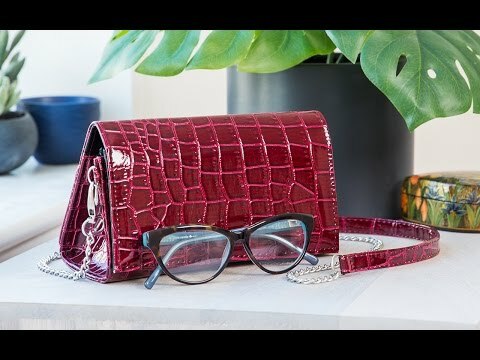 It has room for cash, keys, cards, and even lipstick, but it's built like a hard shell glasses case to keep your specs safe. (We recommend putting them in a microfiber case, though, so they don’t get scratched by other contents.) Detachable straps let you wear this purse as a crossbody bag or wristlet, and it’s embedded with RFID blockers to prevent electronic theft. Love this little bag, great for any quick trip. Just the thing for those of us who wear glasses! This item is everything it states. I love the room and the design. David Klar was inspired to design this handy holder when a friend mentioned that she had cut a slit in her eyeglasses case for cash and cards. We think you’ll find this multi-functional case is the solution you’ve been looking for, too.